On the surface of things, this seems a bit limiting, especially when it seems to have four levels of positive feedback and only one level of negative. When writing reviews, I sometimes use half marks in between, but the basic scale works. 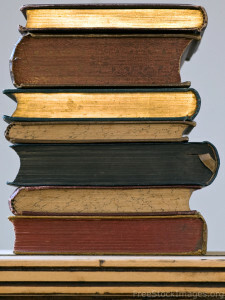 5 – When is this author’s next book due out, dammit? 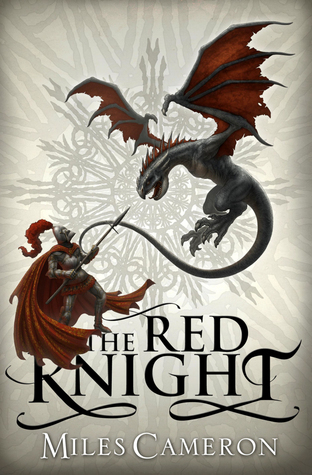 4 – I’m very much looking forward to the next book, especially if it’s in a series. I can wait, with varying degrees of patience. 3 – I have no issues recommending this as a decent book, but probably won’t bother with the next book in the series if there is one. 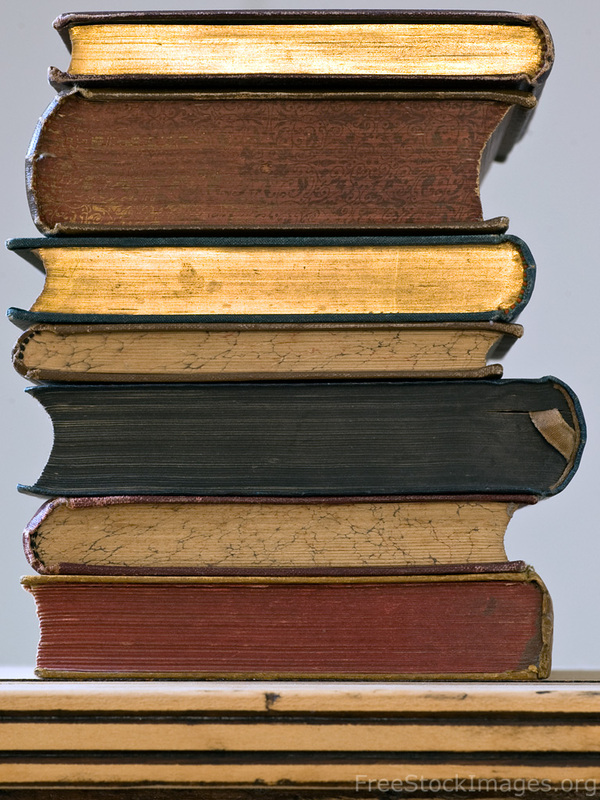 Life is too short and there are too many potential books I’ll probably love. 2 – Meh. Not something I’ll recommend to anyone else. Seems unlikely I’ll read another book by the same author unless the concept really grabs me. Not following the series any further. 1 – WTF did I just read? Also, all DNFs get 1 star. And, like I said, I do sometimes use half marks when writing reviews. Those are for a little grey area in between. 4.5 = Fantastic read. Going looking for other works by the author. 3.5 = good without being great. But then I have to decide which way to round when I click the stars for the actual rating. 2.5 = not really that great overall, but had some cool moments/scenes/characters. 1.5 = Managed to finish the book, but I’m really not happy about it. So I like the scale, even if I feel the need to split the hairs a little finer sometimes, because it does provide enough breadth of rating, mostly, based on how strongly I’d recommend a book, or how I feel about the writing when I get to the end, and it doesn’t get too complicated. If 3 stars is the mythical average, because it’s in the middle, then you just need to get used to the idea that 3 stars means a good book to the person who wrote the review. Your mileage may vary. 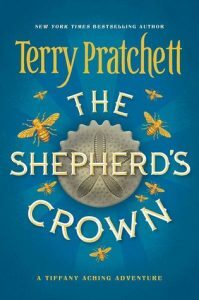 The last Discworld novel and the first of the Tiffany Aching stories I truly loved. The previous ones were fun in their way, progressing from a decent read to true enjoyment, but none come anywhere near this tale. There may be emotional reasons for that other than just the story itself. Of course, I’ve always enjoyed the Nac Mac Feegle. Right up to the end, Sir Terry continued his efforts to build inclusiveness into the societies of the Discworld, expanding the definition of the word “people”. He reminds us that both goblins (who have come a long way in recent books) and witches are people, too, along with everyone else we’ve already grown to love and accept, and shows us even faeries can learn and grow. Perhaps there’s hope for humans. This is a story of beginnings and middles and endings. It’s a story of living with change and understanding how deeply that’s embedded in the nature of the world. It’s a story of accepting beginnings and middles and endings. There are plenty of moments of joy and happiness in this tale, but mostly it’s a more wistful sort of story, sad without wallowing in it. Overall Rating: 5 stars. 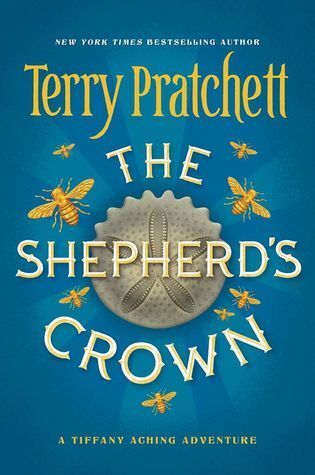 I’m stingy with 5-star ratings it seems, and I can’t honestly say at this moment if The Shepherd’s Crown truly deserves all five or if it’s my own sense of nostalgia. If Sir Terry had more time, would this have been better? Almost certainly. But he didn’t, and it wasn’t, and we have to take things as they are rather than as we want them to be. I devoured this book when I wanted to savour it, but that’s okay. I can always go back, but it does sadden me that this is the last new Discworld book our world will ever see. It saddens me even more to read the afterword, that Sir Terry continued trying to work out new ideas for Discworld tales that we’ll never see and that the series could have gone on quite a while yet. Perhaps there’s an alternate universe somewhere and alternate fans of alternate Sir Terry Pratchett will get to enjoy them. Those of us in this world will simply have to wonder at what might have been. 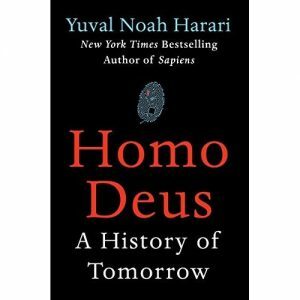 I read Mr. Harari’s previous book, Sapiens, a couple of years ago. In spite of the title similarity, this is not the same kind of book, except where it is. 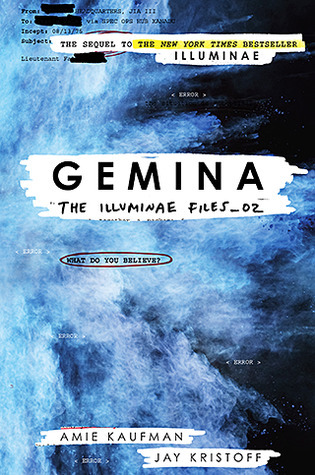 The book looks at potential answers for two significant questions. What have been the major feats and accomplishments of our species in the past? What are the major tasks we are looking towards in the future? I’m going to skip over most of it and graze past the heart of things, where the title actually comes into play. Because this is a book about the future of the human species. Technology and humanism (and the author treats both almost as a religion and belief system, going so far as to say so for the latter) have done a lot for the human species so far, and will continue to, at least for a while. But the pace is always increasing and we’re not all that good at seeing the outcomes in advance. Are we going to genetically engineer ourselves into a two-species, class-stratified society? Are we going to algorithm ourselves into being cogs in a single, vast process? Are we going to merge with machines? Are we going to upgrade ourselves to become them? There are a lot of possibilities that wind up with homo sapiens becoming obsolete or extinct at the hands of the successors we ourselves will engineer. And the paths the author shows us to get there, given what we know of human nature, are all too easy to see us walking down as a species. As it stands, we don’t give a lot of thought to futures and consequences at that level, but the choices we make as individuals and societies will lead us down some path and the author never comes right out and says so, but seems to gently prod me in the back of the mind that maybe we should plan at higher levels than we do. Overall rating: 4 stars. 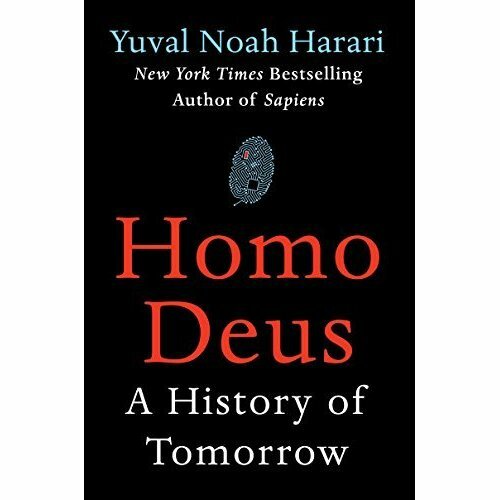 The future is a vast, undiscovered country, and Mr. Harari’s writing shows several possible destinations in that country. If none of them are places we’d necessarily like to end up, then maybe we should take the book as a warning. At the very least, we should think about the path we might actually like to take. I tried to read this book in 2014 and hated it. In fact, this was one of the first one-star reviews I ever gave, deciding that a DNF doesn’t rate more from me. Since that attempt was less than three years ago, I initially didn’t see the need to put myself through that again. And then, in the course of my Hugo/Nebula/WFA novel winners quest, I found an audio version and thought maybe I could manage that while commuting. And I was right, but I still didn’t enjoy the book. There were several times I probably would have stopped or skipped ahead if I hadn’t been driving at the time. Severian’s character is strange and not really workable for me. He’s actually presented very well while still serving with the Torturer’s Guild. His personality, while distinct from his friends and fellow students and journeymen, fits the mold for how he’s grown up in the guild. But that personality shifts dramatically almost as soon as he walks out the front door, by turns allowing himself to be manipulated, by others a passive participant in life, and by still others he becomes an arrogant jerk. No, not everyone is consistent of character in the real world, either, but Severian seems to be very gumbified, molded by the author into a completely new character to fit whatever situation the author feels like putting him into. It gets both tiring and irritating. To go along with the lack of a consistent character, we have a lack of consistent story once he’s away from the guild. Nothing really happens in the second half of the book. We careen from situation to situation, barely advancing the plot and not really advancing the characters of Severian and companions. After enough of these situations have gone by, the author apparently decides that’s enough for one book and the narrative just ends. Not exactly a cliffhanger, though they are in the middle of something that hasn’t been explained at all, and with no real warning. The story just stops without telling us anything is coming. Severian is going through another door, and this seems like a good place to break things off, telling us we can read further in his memoirs if we choose. And in the afterword, we find out it’s a tale of the future and the author is merely a translator? Olaf Stapledon pulled this in Last and First Men, and it didn’t really work for me then, and it doesn’t work for me now, especially on top of the book that I just read. Overall rating: 2 stars. 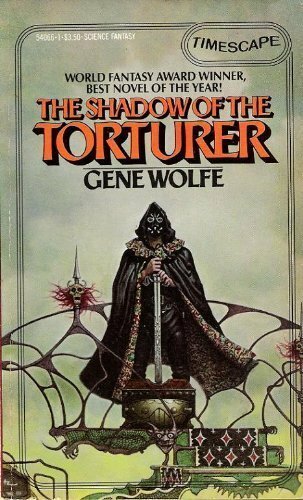 Again, I’m well aware that this book, and the series it starts, is well thought of by big parts of SF literary fandom. Yes, I’m equally well aware that Mr. Wolfe is considered a giant in the genre by some other really big names in the genre. 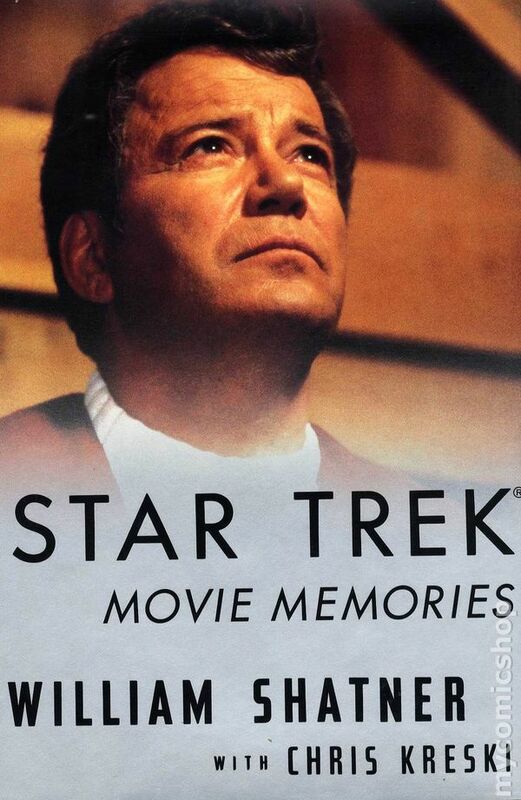 Yes, it won two major awards. But I have to ask again: so what? Just because a book is critically acclaimed or wins awards doesn’t mean any particular reader has to like it, and I didn’t. Your mileage may vary, but I won’t be reading the next book in the series even though it also won a major award (the Nebula this time). I’m actually a little sorry I spent the time to try this one again. This is a strange collection of strange stories. 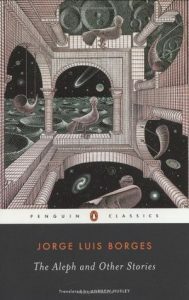 Before now, I wasn’t familiar with Mr. Borges’ work, and I’m still not sure I am, especially since he appears to have been fairly prolific from what I’ve read about him since finishing this. Not every story in this collection comes under the headings of science fiction or fantasy, at least not when I’m looking at them. But that’s okay. First, it’s good to step out of your comfort zones now and again. Second, to some degree, I enjoyed every story in the book, and that’s not something I can usually say. Third, the historical pieces here capture moments in time that I might not otherwise have considered. If I had to think about themes running through the collection, I’m probably going to come up with three words: immortality, obsession, and time. Sometimes all three of these run together in a story and sometimes none of them are obvious but there are subtle tendrils here and there. I’m not going to go through this story by story – plenty of other people have done that, and I’m not sure I have anything meaningful to add, although I suppose if this is the only review you read about this book (please don’t limit yourself here), maybe you’d appreciate at least a little something. “The Aleph”, the titular story, is about an object that is, “one of the points in space that contains all points”. In fact, it contains every point in space from every angle in perfect clarity. Actually, the story is really about the effect on someone looking into the Aleph. “The Dead Man” is, oddly to me, an historical piece about a man who believes he is seizing opportunities rather than writing his own epitaph. “The Man on the Threshold” is also not a speculative fiction piece, but does contain a little bit of mind bleepery, subtle enough that it almost goes by at the time. Overall rating: 4 stars, almost. I’ll leave it there, but at the same time mention that I wouldn’t want to be a woman in any of Borges’ stories. The writing is wonderful and the stories make you think, but collectively, this survey of Borges’ work is sexist as hell. 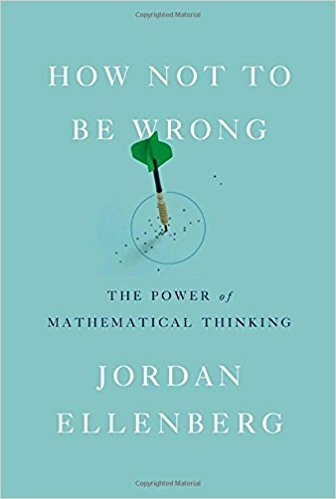 The short answer, never exactly stated outright, but talked around quite a bit, and in a longwinded way in the opening pages, is that if you’re talking about how to solve a quadratic equation or prove two triangles are the same triangle, you’re probably not going to. And that’s not the point, anyway. The point is to open up your brain to ways of thinking that will help you solve real world problems and question things when it’s important to question them. There are definitely fun bits, demonstrations of how numbers can be manipulated (and actually, he comes back to this point with a lot of different examples, some esoteric, and some very entertaining), how a first past the post voting system doesn’t work with more than two candidates (surprise! ), and how people in the relatively recent past have taken advantage of poorly designed lotteries. But in amongst the fun bits, I’m confused about how and why god keeps coming into things. He doesn’t appear to be taking sides on a mathematical proof for or against god, but the author keeps bringing it up. And suddenly, somewhere past the half way mark, he brings up original sin. Original sin? Seriously? He compares just generally being wrong to the concept of original sin as if it’s a real, concrete thing. At this point, I actually came very close to putting the book down as I’m really not interested in someone mixing religion in with the science I thought I was reading. The writing itself is a bit variable, sometimes very engaging and readable and sometimes very dry and long-winded with examples that stretch out a little too far. Overall rating: 3 stars. 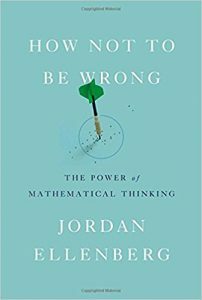 I come down on the side of liking this book, though I don’t know if the subtitle, “The Power of Mathematical Thinking” is ever realized in the book outside of demonstrated moments when people have taken advantage of that power.